Believe it or not, the typical American household earning the 2016 median income of $57,617, according to the U.S. Census Bureau, likely earned a higher salary than Elon Musk. And, no — that doesn’t mean members of these households suddenly became billionaires. The average CEO salary was $12.2 million among Fortune 500 companies in 2016, according to the Rock Center for Corporate Governance at Stanford University. But these CEOs are anything but average. Although these leaders aren’t exactly struggling to make ends meet, their insistence on taking little or no salary certainly sends a message of social responsibility in the age of the mega-corporations. Click through to see the tiny paychecks doled out to these revolutionary CEOs. If Elon Musk’s Tesla salary seems very specific, that’s because it is. Every year, Musk makes a salary based on California’s minimum wage laws (though he doesn’t cash the check, preferring to keep the money within the company), reports the Wall Street Journal. Find out more about taking a pay cut and other ways bigwigs live modestly. Don’t worry about Musk. In 2016, he was actually the highest-paid exec of a publicly traded automotive company in the U.S. That year, he sold $593 million of his reported $1.34 billion in Tesla stock options, according to Automotive News. Today, Musk’s fortune is worth billions of dollars. By taking an official salary of $1, Yelp’s leader continues a Silicon Valley trend started by Steve Jobs in 1997. At the time, Jobs’ surprise move cemented his commitment to the company over his own wealth — an important statement during a period in which Apple was struggling to dig itself out of a slump. Similarly, Stoppelman adopted the $1 salary strategy starting in 2013 after Yelp reported a net loss of $5.3 million in its fourth quarter, reports CNET. Like Musk and most of his contemporaries in the $1 club, Stoppelman gets by just fine on stock option awards. In 2015, for example, the Bay Area News Group reported that he made $852,112 in option awards and $67,202 in “other” compensation. In 2016, that total compensation figure jumped to $3.73 million, according to Morningstar data (including his $1 salary). It’s hard to believe that back in 2004, Google co-founders Larry Page and Sergey Brin weren’t making much — especially since they’re both worth billions of dollars today — but it’s true. That year their salary was a skimpy $43,700. In 2005, the duo took their low salary one step further and turned down a raise from Google’s compensation committee in favor of adopting a $1 salary, reported CNN at the time. By owning a significant stake in Google and its new parent company, Alphabet. USA Today reports that in 2016, Page specifically owned over 42 million shares of the Google parent company. As of 2016, Rive’s official salary was reduced from $275,000 to just $1. This was part of a wide-reaching cost-cutting effort across the company following Tesla’s $2.6 billion buyout, USA Today reported at the time. Mark Zuckerberg started taking a $1 salary in 2013. The symbolic salary serves as an incentive to keep Facebook in good financial health, which is clearly working — the company was one of the best stocks to invest in last year, with RBC Capital declaring it the top growth stock in the technology sector. 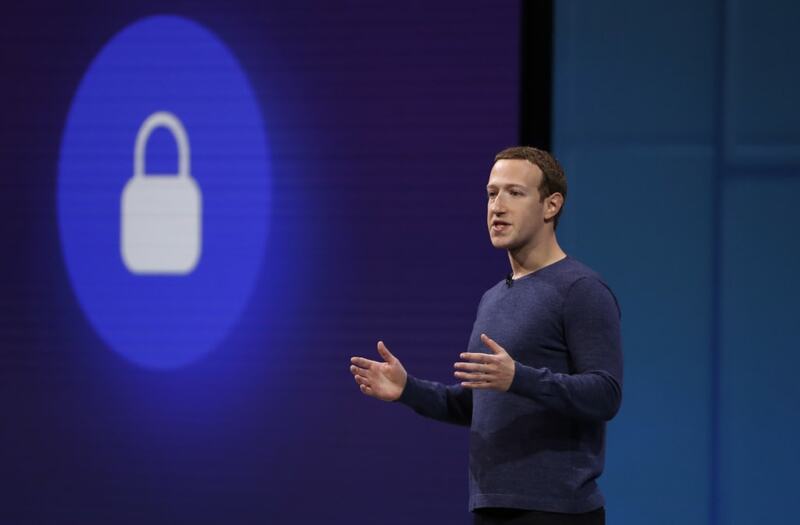 Still, Zuckerberg stresses that Facebook “was built to accomplish a social mission” and that the company doesn’t “wake up in the morning with the primary goal of making money,” Tech Crunch reports. Zuckerberg relies on millions of stock options to keep his head well above water. He also enjoys other non-salary perks, netting him $5.8 million worth of total compensation in 2016, according to Morningstar. In 2015, Square CEO and founder Jack Dorsey was rolling in the dough with a $6,000 annual salary. The next year, though, he hit some hard times when his salary was slashed to just $2.75, reports Fortune. Okay, so he didn’t really hit hard times. In fact, Dorsey is quite content living a happy, healthy life all while keeping his salary at that very specific and symbolic figure — 2.75 just happens to be the percentage that Square charges merchants every time they swipe a credit card using the Square system. Though that zero may look scary, Dorsey actually receives a total compensation of $56,551 per year at Twitter that falls in the “other” category, according to Salary.com. 2016 treated Snap co-founder and chief exec Evan Spiegel pretty well. Only 26 years old at the time, Spiegel pocketed a $503,205 salary plus a $1 million bonus. And speaking of bonuses, the company even shelled out $890,399 for his security detail, reports Business Insider. But 2016 also marked a humbler milestone for Spiegel, who officially committed to the $1 CEO salary club going forward. Like many Silicon Valley leaders before him, Spiegel’s yearly bonus is now based on how well Snap achieves performance goals set by its board, according to BI. The exec’s 21.8 percent of Snap’s class A shares, 2 percent of its class B shares and 50 percent of its class C shares should be growing his net worth, though. Ed Lampert agreed to a $1 yearly salary when he agreed to stay on as CEO in 2013 during one of the company’s many low points. According to the agreement, he is to be paid in a performance bonus of up to $2 million in cash or stock and up to $4.5 million in stock every year, reported CBS News. That compensation package he agreed to actually netted Lampert $3.5 million in 2016, according to Morningstar. Though still good by many’s standards, it’s worth noting that Lampert’s unsuccessful plan to turn Sears around has also sliced his personal assets by 84 percent and sunk his Sears-led hedge fund portfolio value from holdings of $16.5 billion in 2007 to $653 million in late 2016, as per reports from Fortune. Former hippie and current Urban Outfitters CEO Richard Hayne joined the $1 club in 2009, according to SEC records. Hayne makes do by being compensated in performance bonuses. Because Hayne’s compensation is directly tied to the often controversial company’s revenue, however, his actual yearly earnings are something of a bumpy ride, reports Time. In 2013, Hayne made just $33,273, jumping to $68,487 in 2014, per Morningstar. He peaked at $535,636 in 2015, then dropped to $44,310 in 2016. In 2017, Hayne was back on the upswing with a salary of $369,473. If you live in California, you might have heard Whole Foods referred to as “Whole Paycheck” for its characteristically high prices. That reputation could be one of the potential changes made by new owner Amazon. As it turns out, co-CEO John Mackey’s paycheck isn’t all that impressive. Mackey has been part of the $1 club for three years running, down from the $69,019 he made in 2014. According to a USA Today analysis of S&P Global Market Intelligence data, Mackey has an interesting compensation package — he received just under $50,000 for the fiscal year 2015. Though that still may sound meager for a CEO, don’t shed tears for Mackey just yet. After Amazon’s acquisition of Whole Foods, the 63-year-old’s net worth shot up to a healthy $75 million, according to Forbes. Unless otherwise noted, CEO compensation figures are sourced from 2016 data provided by Morningstar, Inc.